Liverpool have maximum points after three matches in the English top-flight. 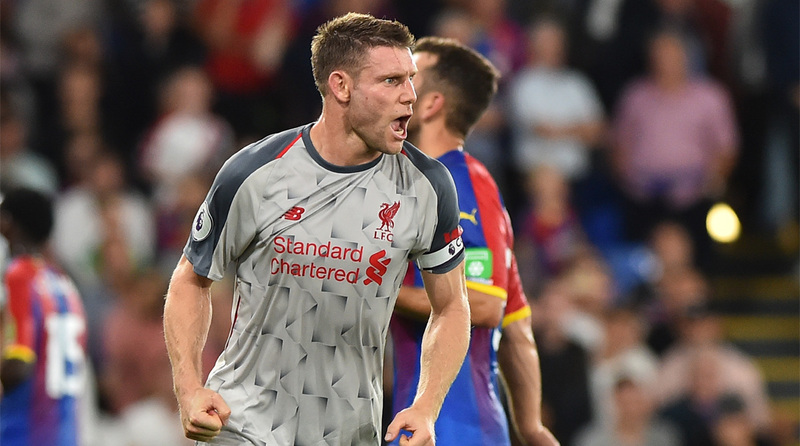 Liverpool may be topping the Premier League table after winning their opening three games, but Reds midfielder James Milner insists the job has only just begun. The Reds beat Brighton & Hove Albion 1-0 on Saturday night and the result was even more crucial because earlier in the day defending champions Manchester City had dropped points at Wolverhampton Wanderers. “It’s never a bad place to be – but they’re early days and we just want to keep going and keep improving,” the veteran midfielder told BT Sport after the tie at Anfield. Brighton had humbled Manchester United last week and against Liverpool at Anfield, gave a good account of themselves. “They’re a good team, they showed that last week.They were going to be full of confidence coming here, they weren’t easy to break down; they’re strong, organised and have good players going forward as well. “That’s obviously what we want to do: catch them. When teams are as well organised as they are, they are the moments – when you win the ball back – to try to strike quickly,” Milner stated on the topic of his side’s high press. So far, only Watford and Liverpool have won their opening three fixtures. “Bobby (Roberto Firmino) passed the ball through with a lovely weight on the ball. If you give Mo (Mohamed Salah) those chances he’s going to take them. The front three are always going to cause problems for all teams. Chelsea and Tottenham Hotspur could follow in the Merseyside outfit’s steps, but barring a goal blitz from either of them, Liverpool will end Matchday 3 atop of the Premier League table. “Going forward gets most of the headlines but the boys at the back, the goalkeepers and as a team, keeping these clean sheets is so important and that’s what’s getting us the points, Milner added. The first international break of the season ensues now and Liverpool will next be in action when they visit Leicester City for a Premier League clash on September 1.